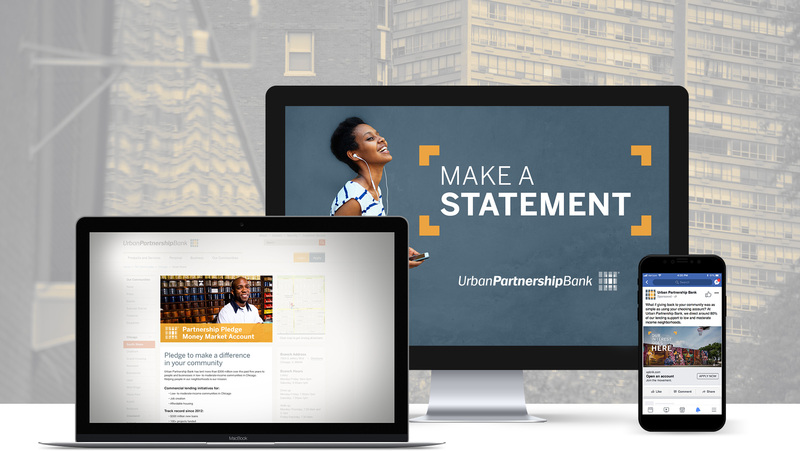 After becoming a Community Development Financial Institution and adjusting their mission to focus on the underserved communities of Chicago, Urban Partnership Bank needed to reach a new audience. Their current account holders were aging, and reaching younger people was proving difficult. 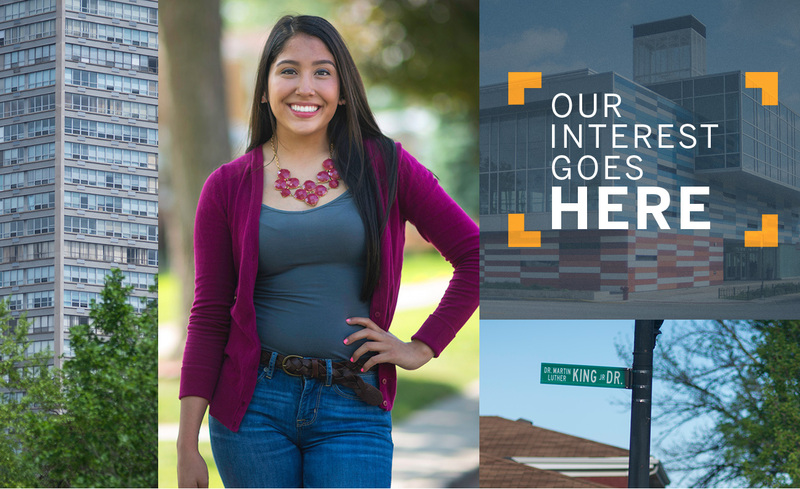 So UPB reached out to envisionit to help find a new audience and grow their digital reach. 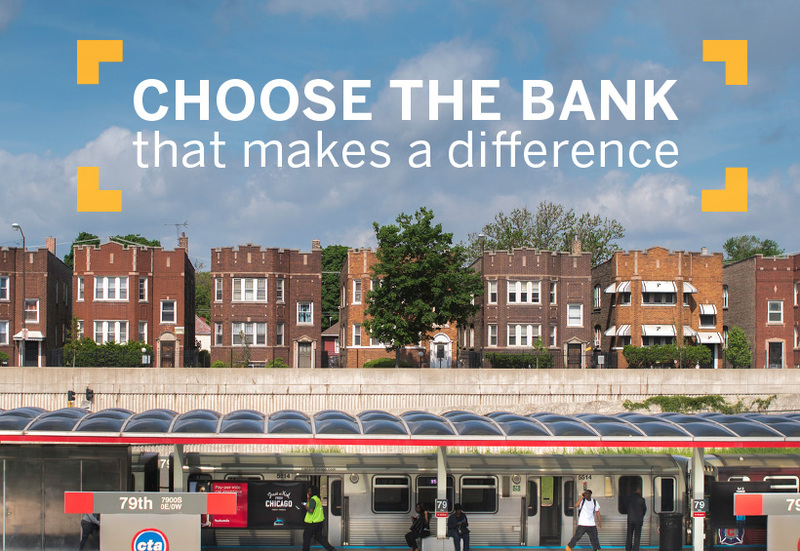 In a big city full of Fortune 500 banks, how does a community bank create a meaningful connection? Well, showcase its commitment to the city, its neighborhoods and the residents they serve. 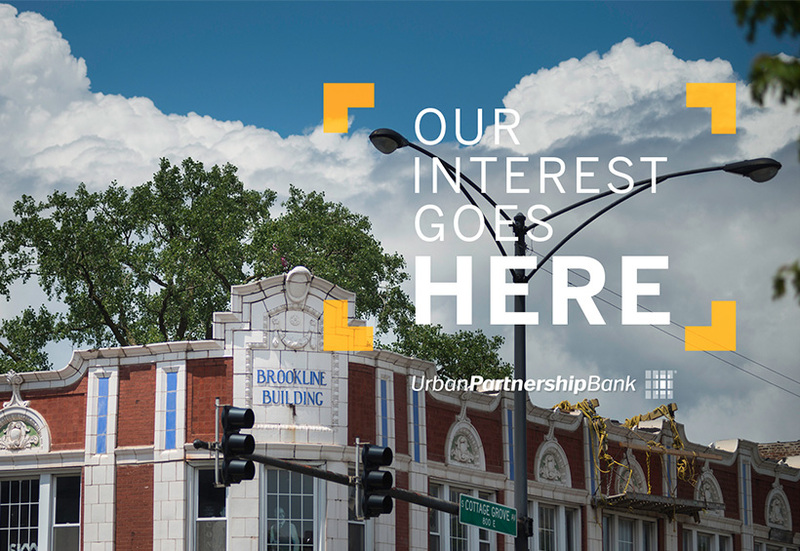 UPB has a mission tailor-made to the audience they wanted to bring in — over 80% of their lending is directed to low and moderate income communities in Chicago — but they needed a simple way to convey that. So we came up with a new campaign that does just that: OUR INTEREST GOES HERE. UPB wasn’t a household name, but it did have a strong connection to the communities it served. So we created an agile awareness campaign focused on the neighborhoods that UPB helped develop. 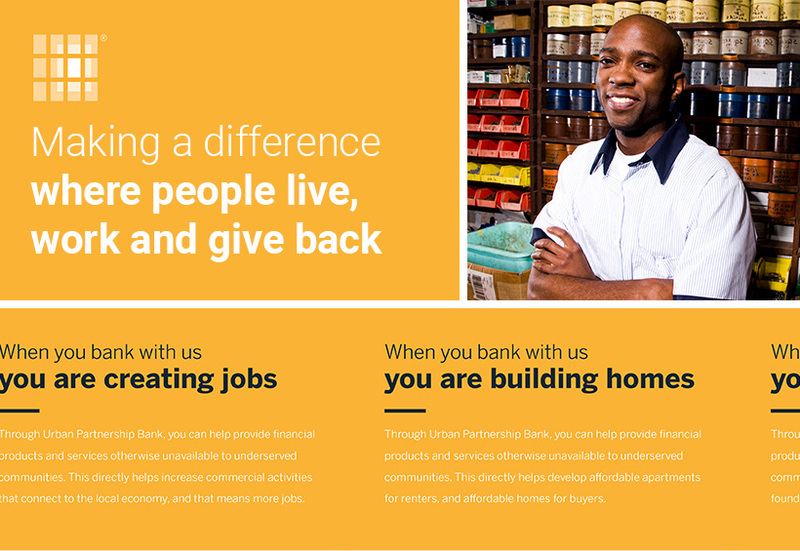 We targeted young professionals living in and around the bank branches in Chicago. They were likely to connect with the UPB mission, but needed a little education on how UPB improved their communities. With a lacking digital presence, we needed to ramp up efforts to include the younger audience — most of whom bank online. We planned a paid social and display campaign to bring them in. We knew we had to differentiate UPB from the large banks in the market, so we did what they can’t do. We made it personal. 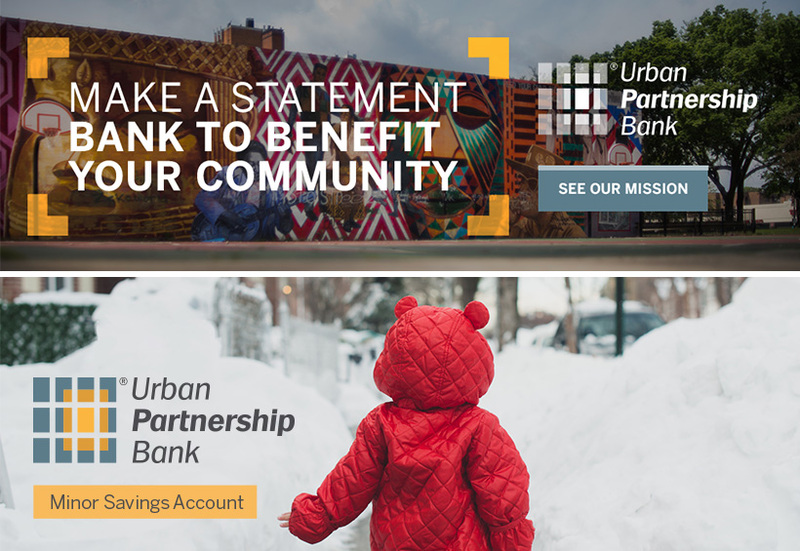 With UPB’s mission to help neighborhoods in need around Chicago, all it took was some local know-how, clever messaging, and a plan to get it to the right people. The younger 18-34 audience that UPB needed would accept nothing less than an authentic understanding and appreciation of the city. So we hired a local photographer to capture beautiful images of the city that locals would immediately recognize. UPB has seen some success, but they still didn’t have the local following they deserved. We phased our campaign into two approaches: general brand awareness, then we shifted to a focus on products and customer benefits. A quick lesson about the hopeful UPB mission, and then education on how banking locally with UPB can help the community. Our campaign had to work on a few different fronts: first and foremost, digitally. But UPB also wanted to carry the campaign over to out-of-home ads, internal communications, brochures and more. So we were able to flex a little and show off our traditional chops. Since launch, OUR INTEREST GOES HERE has far surpassed banking industry standards, exceeding previous campaign performance, with UPB experiencing significant growth in personal banking. Online account openings rose 100% each year the campaign has run. The younger audience UPB wanted is now paying attention — UPB has seen a nearly 800% increase in web traffic from young professionals.